One bogus study cannot change the work that guys like David Martin and the Australia of Sport (AIS) have performed. a control group that didn’t go to altitude. To assess the effects of altitude training, they looked at blood parameters like total hemoglobin mass, and measured race performances 1, 7, 14 and 28 days after returning from altitude, as well as assessing season-long performance profiles (including performance at the World Championships). Swimming performance was substantially impaired for up to 7 days following 3 weeks of either Classic or LHTL altitude training. 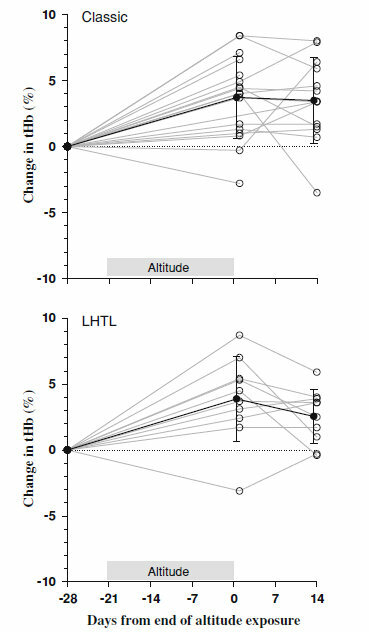 Despite ~4% increases in tHb resulting from both Classic and LHTL altitude training, there were no clear beneficial performance effects in the 28 days following altitude… A season-long comparison of two tapered performances at major championships also did not reveal a benefit for athletes who completed mid-season altitude training despite the substantial physiological changes associated with the altitude. So does this “prove” that altitude training doesn’t help endurance performance? Of course not. But it’s a pretty interesting data point. This is the Australian swim team — one of the world’s powerhouses — supported by the Australian Institute of Sport, who have done lots of research into altitude training, and believe in it enough to construct an altitude house on their campus. They understand how it’s supposed to be done, and they executed it effectively enough to produce hemoglobin changes… but still, they didn’t manage to improve performance. If anything, they got worse. If you’re doing altitude training, are you confident that you’re doing it better than they are? Based on the calculated aerobic contribution to energy production during competitive 100 and 200 m swimming races, the 3.8% increase in tHb we observed could elicit a 0.3–0.7% improvement in race time… Although improvements of this magnitude are equivalent to the smallest worthwhile change for swimming performance, detecting such changes can be difficult due to the variability associated with racing and the modest sample sizes available when targeting an elite athlete population. Interesting… Its impossible to do à blind rct. So how are you able to research this? A interesting study. We use altitude a lot for rehab, recovery as well as performance. In my experience hemoglobin is always a poor indicator. We use performance as our main measurement and have found that there are indeed some ‘non-responders’. Interesting that elite swimmers did not respond though? I always test to see when they respond to coming off the training stimulus as people seem to vary. I also use train high (simulated) and live low (difficult not to in south lakes!). It all goes into the mix though. Nice article, thanks. Wondering whether all the money spent on high altitude training bases and altitude rooms/tents might be better directed as building purpose built training camps in locations closer to sea level and civilization. These locations would be better environments to run/train. Could training camp effect be argued as being just as effective as altitude? @Brian: Well, the “training camp effect” is certainly one of the main criticisms of many of the early altitude studies. Take one group of runners and send them to a mountain village for three weeks where there’s nothing to do but run, and leave the other group in their normal environment, and it’s no surprise that you see different outcomes. That doesn’t mean there aren’t also real benefits to altitude, though. But as you suggest, the question is whether the benefits are worthwhile. @ Alex, true. But this was in a tent and the only factor wich was controlled was the level of 02 and not the pressure (if i’m correct). It hard to make it blind when some are in spain and others in sidney. But the combined negative results puts the high altitude training on frail grounds. @Wouter: Of course, the lack of blinding in the new study means it’s susceptible to a placebo effect — which we’d expect to benefit the athletes who trained at altitude. Instead, we saw the opposite. Knowing swim coaches, it is very possible that “training camp mentality” took place here; I think that most coaches would use altitude as a chance to get in more aerobic/distance training. I’m not sure if this would apply to live high train low, but with hard training, recovery could be affected. Additionally, the 100 would definitely not be considered an aerobic event, and the 200 only slightly so. If you really wanted to test this, I think the 400/800/1500 would be better tests for altitude. Unfortunately, I imagine these start to get too long and physically demanding for tests to be consistent. @Mack: Yeah, I guess that’s the conundrum: with the short events, you can take repeated measurements to look for small changes, but altitude training is only marginally relevant. 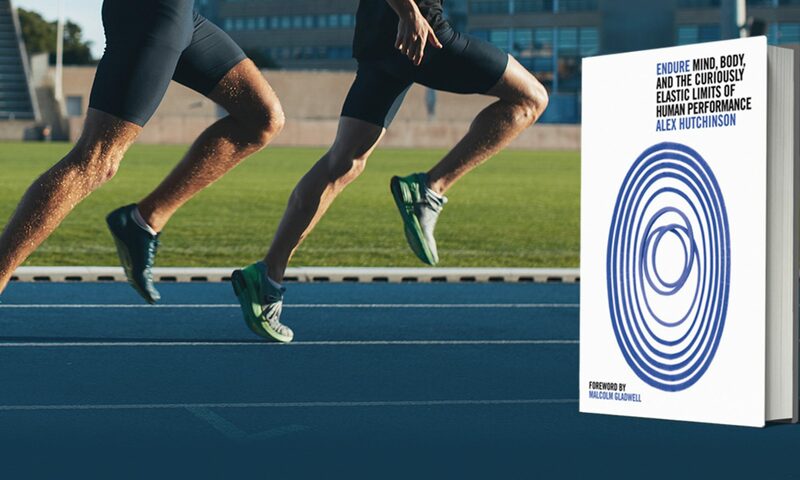 With the longer events, you can’t make the athletes race over and over again (at least, not without seriously disrupting the season), and there’s greater variability in performance. Not an easy question to address. Next PostNext Does heat slow you down if you don’t know it’s hot?